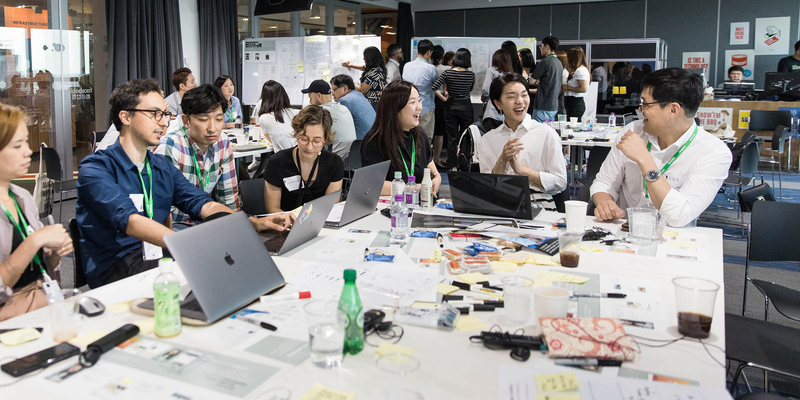 The Seoul Design Jam addressed issues around, and explored potential solutions for, data education and awareness to help startups thrive in the digital ecosystem. Designs that are common and work well today, from a “like” button to a newsfeed, were once innovative experiments. New interfaces, like smartwatches or voice control, develop quickly. Academic research shows that giving people information in bite-sized chunks is more effective and allows them to make more meaningful choices when using technology. For a generation who has grown up with smartphones this is even more true. To modernise the way we help people understand data and its use, we have to to match the pace of technological innovation. Industry must lead to create designs for trust, transparency and control that keep up with these innovations. Industry and startups share a challenge with regulators and policymakers in finding appropriate ways within services to communicate to users how their data is used in a way that doesn't disrupt their experience; one that clarifies their understanding of how their data is used so that they can make meaningful and well informed choices. Startups are inheriting the current environment in response to recent developments around privacy and data while also leading change in this area. One of the best ways to build trust is to encourage the growth of startups who understand that by putting people in control of their data, they can build more successful businesses and unlock greater value. 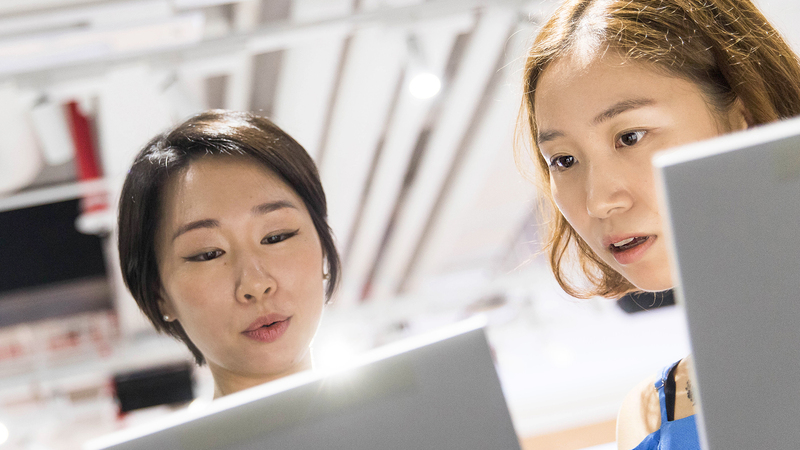 This motivation creates a win-win: the creation of compelling new services, value and jobs, while also building and enhancing people's trust and confidence in these data-driven services. Design an innovative user interface or interaction for a digital service that provides transparency for users while also providing them with a great user experience. The Design Jam was co-hosted by the ICR Law Centre and we welcomed other experts from a variety of disciplines, including the Seoul design community, industry and public bodies such as the Korea Internet Security Agency and the Korea Consumer Agency, as well as academics and legal practitioners. "Through design, we were able to question the current limits and gray areas of privacy policies with experts." 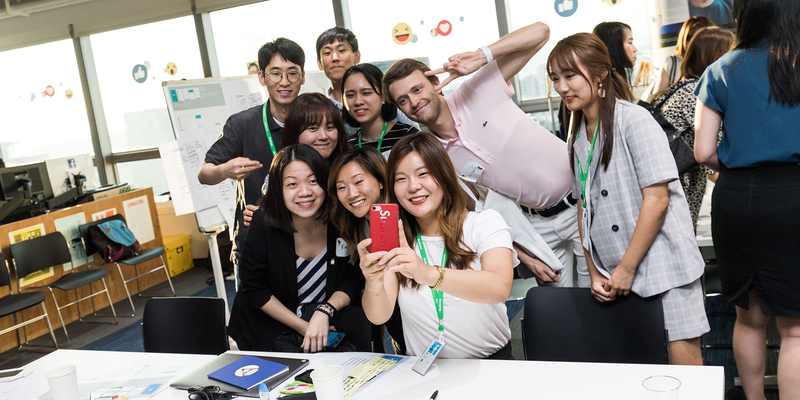 On the morning of the Jam, participants were welcomed and Introduced to Design Jamming in both English and Korean, and this dual-translation format was useful for collaboration throughout the day. They then took part in discovery exercises around stations: Understand People, Analyse data-use notices and Deconstruct transparency. 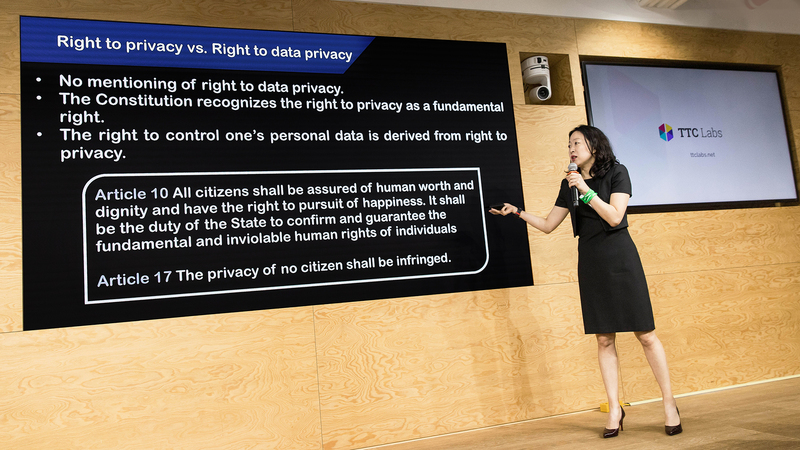 Subject matter experts gave presentations to the group, including Philipp Diekhoner from Greater than X, who spoke about insights and attitudes for data trust, and Professor Ahn, Jeong min from Hallym University, who gave an overview of Korea's data privacy regulation & its environment. 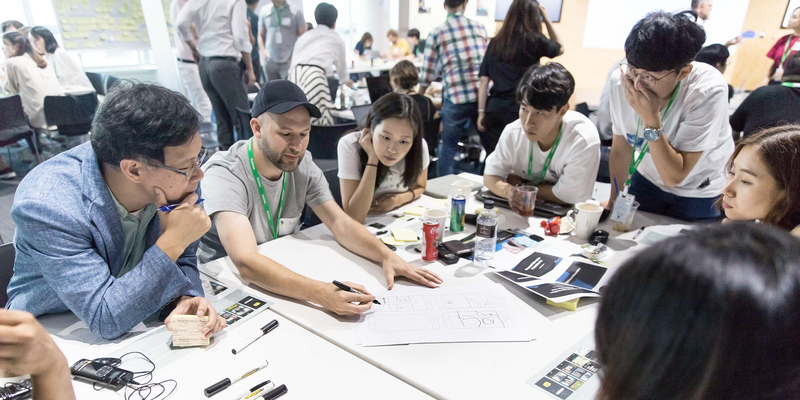 Since this Design Jam was the first full-day workshop held in Asia, it was vital to conduct market research beforehand in order to adapt the Fictional service templates to the local context. Friendlee - social app which allows people to organise their different friendship groups and share photos, videos, messages and manage events within each group. 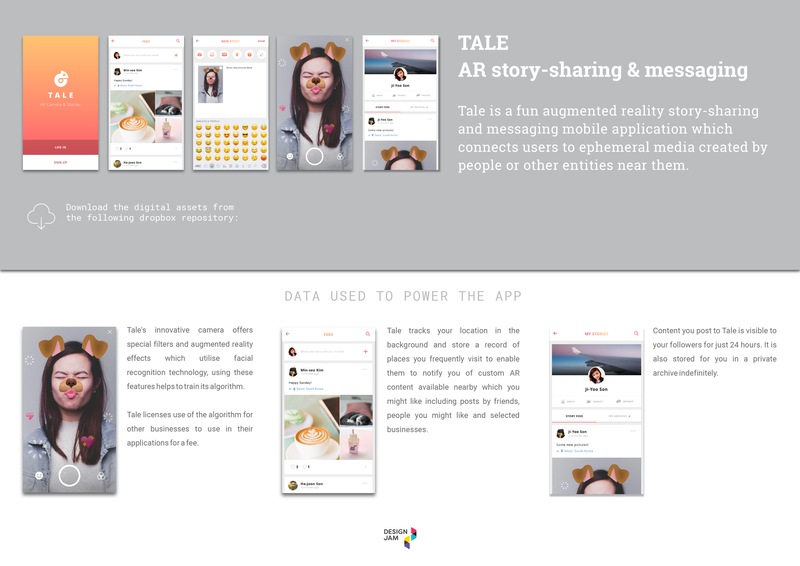 Tale -an augmented reality story-sharing and messaging mobile application which connects people to ephemeral media created by people or other entities near them. Vidi - a live video sharing platform aimed at young people. Teens can stream live video from their phone and are alerted to their friend’s live broadcasts. Seed - a banking startup offering people a mobile wallet where they can collect various loyalty cards and coupons in one place. Waytogo - a journey planner which uses live data for many transport methods such as walking, cycling, bus, tube, rail, tram, ferry and taxi, to plan the best route to a destination. Suppa - a food delivery service that allows people to order meals to be delivered to their home. Suppa collects and delivers the food from restaurants nearby.